Although we all strive to make our homes safer, cleaner, and happier, more research is being revealed about the dangers of seemingly innocuous products such as BPA commonly found in the home. From cleaners to makeup, toxins seem to be in a majority of the things we use every day. This scary reality has made many families take the all-natural or organic route. Although a little pricier, the cost outweighs the risks associated with these products. One of the products under the most scrutiny is plastic. Its flexible and tough material is infused with dangerous chemicals that are known to cause many different illnesses and sickness that can dramatically alter your health. What Is BPA? Why Is It bad? Bisphenol A (BPA) is a coating using on plastics, foods, and other products that creates a glossy finish. Though this chemical makes your products prettier, it actually behaves the same way as estrogen when it gets into the body. This chemical is an “endocrine disruptor,” meaning that it harms, stalls, and stops the processes by which we feel, produce, and transport hormones in our bodies. It is known to not only limit, but actually halt the production of natural hormones, confusing the body. It can, unfortunately, mimic the hormones we have in our bodies, causing a plethora of hormone-related issues, especially in children. Because BPA attacks the hormonal levels in our bodies, the risks range from physical to emotional damage. Heart Disease: For women, hormones are the powerhouse for most functions in the body, including a properly-functioning heart. Without balanced hormones, many women experience heart disease or heart issues in general. Diabetes: Natural insulin outputs can also be affected by BPA, which can cause diabetes in children and adults. Ineffective Medical Treatment: Continued use of BPA can actually hinder medicine from working. In fact, prolonged use of BPA can actually hinder chemotherapy, if ever needed. Brain Functioning: Because the chemicals in our brain control emotions, and most everything going-on in our bodies, BPA can greatly influence brain function and memory, causing short-term or long-term memory loss over time. Asthma: Studies indicate that there may be a correlation between continuous use of BPA products and asthma rates in children and young adults. Food: BPA has been known to create a glossy finish on cereals, fruit snacks, and candy. Ingestion of this chemical is the fastest way to see its effects, so eating it continually is very bad for hormonal health. Avoid foods with BPA by eating organic or all-natural foods. If you are ever unsure, simply check the nutrition label or do some research! Cosmetics: Smooth eyeliners, eye shadows, glossy lipsticks, and foundations are known to contain BPA, giving them a shiny finish. However, skin is very permeable and the BPA and other toxins in these products are constantly absorb by the skin and filtered into the bloodstream. Hygiene: Shampoos, conditioners, body wash, deodorant, hair products, toothpaste are all products that are known to contain traces, if not heavy amounts, of BPA. Since these products are used on the body, it is important to rid yourself of them entirely and switch to all-natural, organic products. Animal Products: Treats, leashes, chew toys, and food are all things that your pet needs; unfortunately, BPA is prevalent in these products, especially in the treats and toys. Dogs have a much weaker immune system than humans, and messing with their hormonal balance is something that can take a large toll on any of our animal friends. Plasticware: One of the most common household items is plastic containers to hold food or other small items. These are some of the most dangerous items in the home. When using these products to store food, you are placing your food into a dangerous, chemical-ridden container that can contaminate the food and can harm your body. When heated, these products can actually sweat the BPA off, causing it to leak directly into your food. 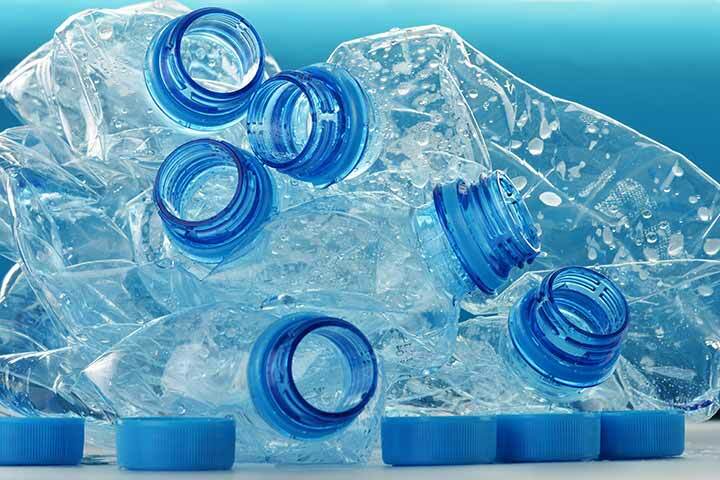 It is best to find plastics that are all-natural or promise to be free of BPA, as well as other chemicals such as lead and PVC. How to Get BPA Out of the House! BPA is everywhere. Most companies follow the “guidelines” for how much BPA to put into products, but many are questioning the chemical entirely, asking if it should even be legal. As the producers of the products fight back and forth about the safety, it might be time to take matters into your own hands. Begin ridding the chemical from your lifestyle and protecting your family the dangerous complications of BPA. It may take time, and some products might be impossible to replace (like your favorite lip gloss), but small steps can make all the difference! Although it seems almost impossible, it is possible to decrease the amount of products you have in the house and look into all-natural alternatives. Food: Only purchase food that promises to be made with whole, all-natural products. Although these can be pricier, the positive effects they can have on a person are priceless. Most processed food contains BPA, as does fast food, genetically-modified organisms (GMOs), and most frozen food. To avoid ingesting these dangerous chemicals, make the switch to all-natural choices. Cosmetics: When examining the amount of chemicals in beauty products, it seems to be almost not worth it. However, many great, reliable companies make all-natural makeup products with limited to no chemical usage. Although they tend to be a little pricier and may only available online, the use of cleaner products on your face will definitely outweigh the added cost in the long run. Animal Products: All-natural or organic products are easy to come by in the pet department. Ordering them online takes seconds, and most stores carry organic toys, treats, food, clothing, and leashes. It is still important to do the research and find what products would work best for your pet and figure out if they contain BPA. If they do, it is time to throw them away and replace them with a safe, fun, effective toys that will not harm your pet’s hormonal system. Plasticware: Instead of risking ingesting damaging food in contaminated plasticware, consider swapping plastic containers for those that are BPA-free or an entirely different material: stainless steel. Although they can vary in price, it is important to realize the threat that plastic products normally pose and replace them immediately with products that promise health and safety. BPA has been connected to many different illnesses and defects, and not just in humans. Animals, specifically those in the ocean, are susceptible to contamination from plastic products that are being disposed of into the ocean. There have been many cases of complete extinctions and unprecedented morphing of species in the oceans due to exposure to BPA. Whether we do it ourselves or not, plastic products almost always end up in the ocean due to carelessness or landfills. Because of this, all-natural recycled products and reusable products are recommended if plastic containers or other products must be used. The effects of BPA on the environment are detrimental, especially to wildlife and sea creatures. Switching to non-BPA products can help preserve our planet and keep it in the best condition to support all life. Overall, BPA is a dangerous chemical that you should avoid inviting into your household; families everywhere are striving to make their homes safer and more eco-friendly by eliminating the use the BPA-laced products and replacing them with healthier alternatives. Although it is an investment, going BPA-free is a great way to ensure the health of you and your loved ones, and it can even benefit the environment in many ways. If you are unsure about products or have any questions concerning BPA, do your research and find what products might need to be replaced in your home, and then look for healthy alternatives. If nothing else, consider replacing all plasticware in your home with BPA-free or stainless steel containers so as to keep BPA from being ingested by your family. Keep you, your family, and your loved ones happy and healthy by making the switch today!